In his description of Rome's siege of Jerusalem, Josephus records that those inside the city were facing starvation. He also claims that those who had food were forced to hide it and could only eat it in the "dark corners of their homes." At times Josephus gives details about events that happened inside besieged places like Jerusalem, Gamla or Masada. And one might question his claims since he was not inside, but outside with the Romans. But every now and then something comes along that confirms some aspect of his narrative. 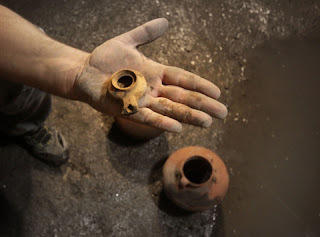 The Israel Antiquities Authority has announced the discovery of some complete cooking pots and an oil lamp from a cistern dating to that period. Roman road from Jerusalem to Jafa uncovered. In an age when most our infrastructure is crumbling beneath us, it is somewhat of a marvel that Roman roads are still being discovered by archaeologists. In fairness to our modern day engineers, the Romans didn't have to construct roads and bridges to take the same daily beating that our roads endure from thousands of trucks weighing as much as 40 tons. Nonetheless, it is still impressive when modern roads use the Roman road as a base, as happens in a number of European locations. 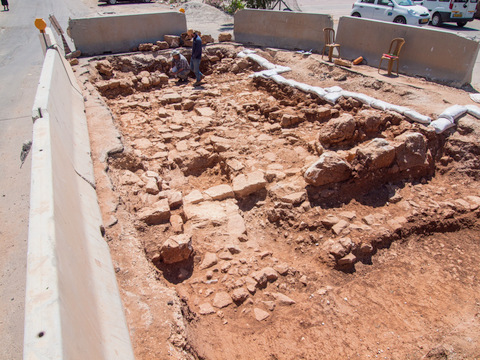 In Israel the Antiquities Authority is announcing that construction crews have uncovered the main road between Jerusalem and Jafa. Publishing an article, essay or book is not easy. I have met a number of people over the years who assume that publishing is only a matter of having a good idea and then sending it off to a journal. In reality, there are many good ideas out there that are not necessarily publishable. There is also limited space and only so many articles can published in a given journal. Those who think that getting something published is easy probably haven't tried. Over at Crux Sola Nijay Gupta refelcts on ten lessons he has learned from serving as one of the founding editors for the Journal for the Study of Paul and His Letters. He offers some good advice for those wanting to submit research for publication. I found his first point to be a helpful reminder that everyone gets rejected. You can read his entire post here. It's a god piece that can help you from making the kinds of mistakes that will earn you a rejection letter.